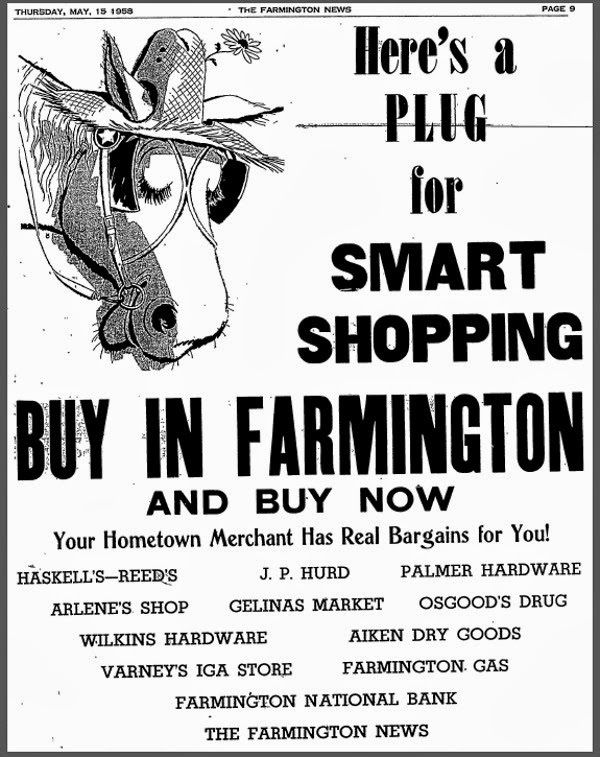 "Farmington News Digitization Project Nearing Completion"
Last year, the Farmington Historical Society began a project to digitize the Goodwin Library's microfilm collection of the Farmington News. 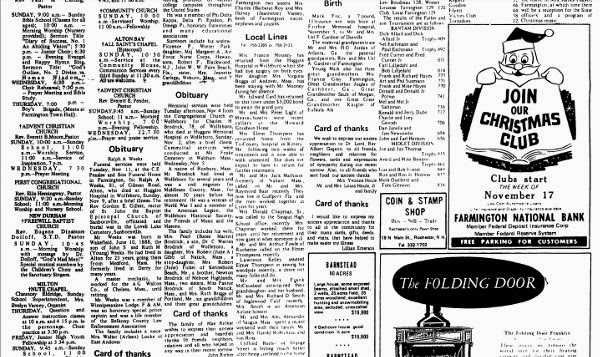 Issues of the paper, from March 14, 1879 through April 7, 1976 will be available in a searchable online database. 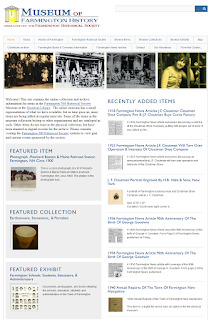 The Historical Society retained the services of Advantage of Cedar Rapids, Iowa for the project. 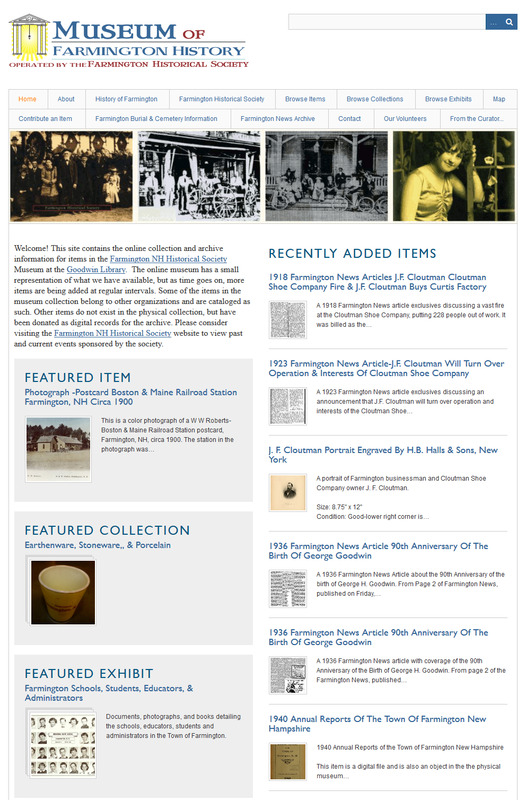 The finishing touches are now being put on the project and it will be available on the website shortly. 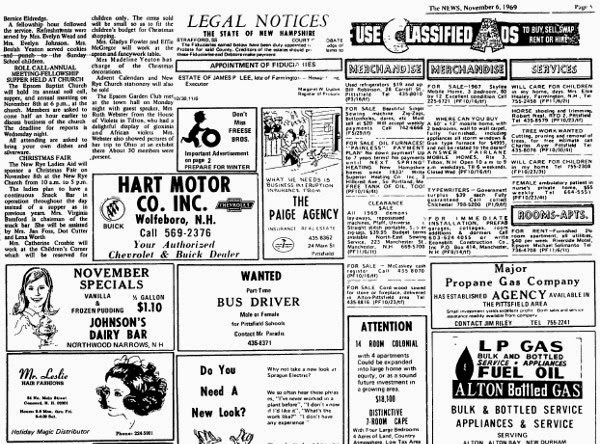 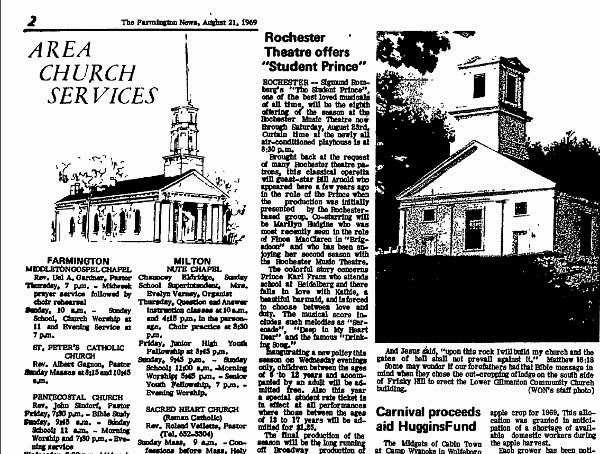 A section of the Farmington News from the August 21, 1969 issue. 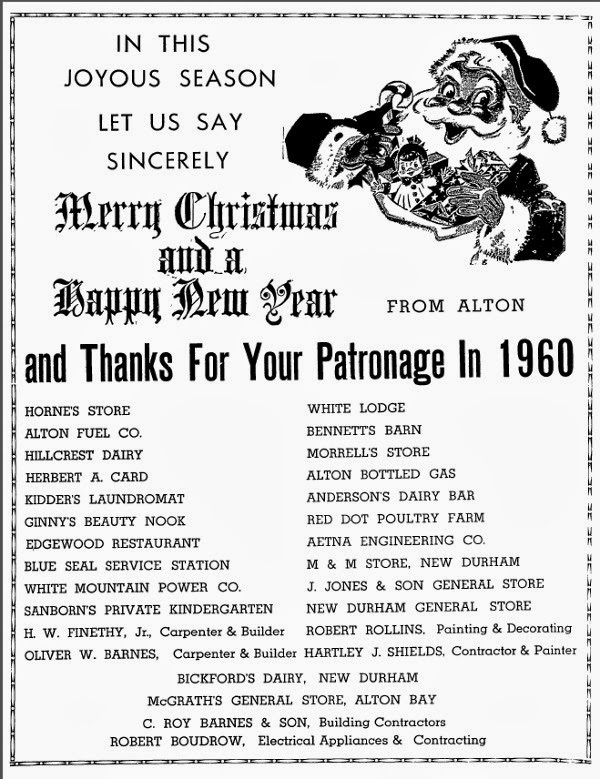 A holiday Thanks You from the Newspaper in 1960.